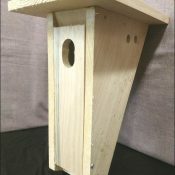 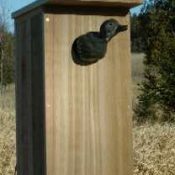 Entice bluebirds to roost in your yard with a Bluebird Nesting Box. 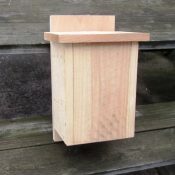 Handcrafted with features such as an easy-open front for cleaning, and proper ventilation and drainage. 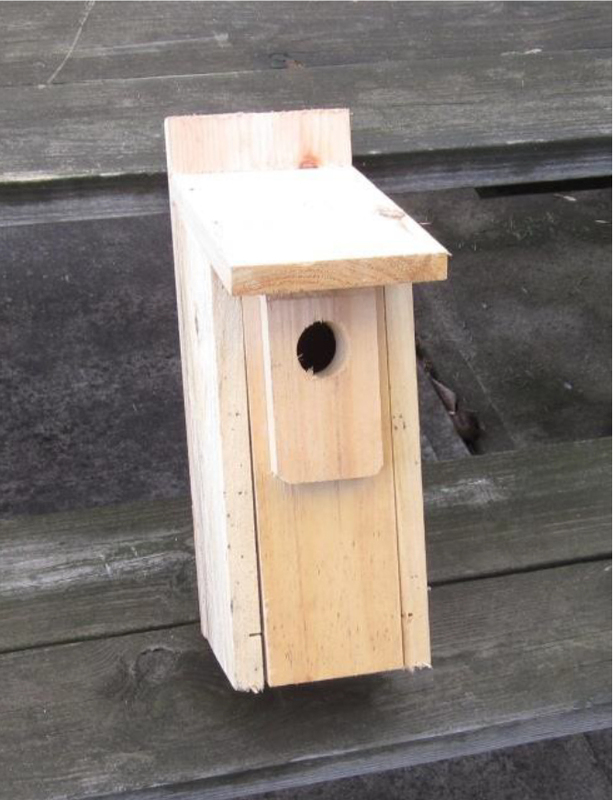 Position the nest box so that the entrance hole is facing east and towards open habitat. 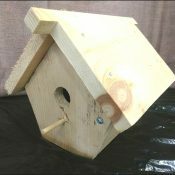 To decrease competition from swallows, you can pair nest boxes about 15–20′ apart, with pairs of houses about 300′ from each other.